Would you recommend PH Builds a Puzzle to a friend? **NEWEST UPDATE** - wow, you guys are good! You've beaten your puzzle three times. Reddit is only halfway through their second time. A new goal has been set; let's set a speed record. ----------- **UPDATE** - you guys have beaten the puzzle twice. New goal is to beat your record time. You have until 12:30 PST to complete the puzzle for a 3rd time! You can also give reddit some help if you're ready for another puzzle: http://www.reddit.com/r/gaming/c... ----------- Hi all, I'm the founder of Hatchlings and this is a preview of a new realtime feature of our game, Puzzlings, that we're releasing soon. 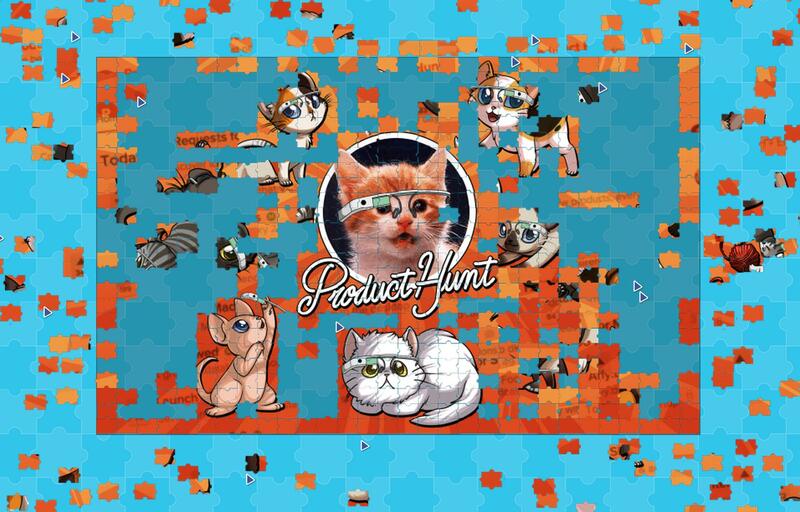 The puzzle is Product Hunt themed so I thought it'd be a fun thing to do together! Not sure how long it will take or how well it will scale. Let me know if you have any questions or feedback! I'd be happy to respond. One known issue: when zoomed out in Firefox, things don't quite align correctly. We're working on it but in the meantime please either zoom to 100% or try a Webkit-based browser. @rrhoover Getting there! Just pushed a couple of speed enhancements since it looks like things were starting to get a bit bogged down; I guess this is one way to do QA! @braddwyer would have preferred you launch this on the weekend - man this could be super distracting! ;-) I like it. @corleyh Thanks Corley, glad you enjoyed it! You should check out our main Puzzlings game this weekend. It's single player.. for now.. but the plan is to launch this collaborative feature later this week! You'll basically get a link just like this one that you can share with your friends so you can work on a puzzle together.